Juventus are aiming to make history by becoming the first team to win Serie A six seasons on the bounce. The Bianconeri have dominated the league over the past five years, cruising to the title under the management of Antonio Conte and Massimiliano Allegri. The club have built their success around their stoic backline, featuring Gianluigi Buffon between the sticks and Leonardo Bonucci, Giorgio Chiellini and Andrea Barzagli protecting the veteran’s goal. 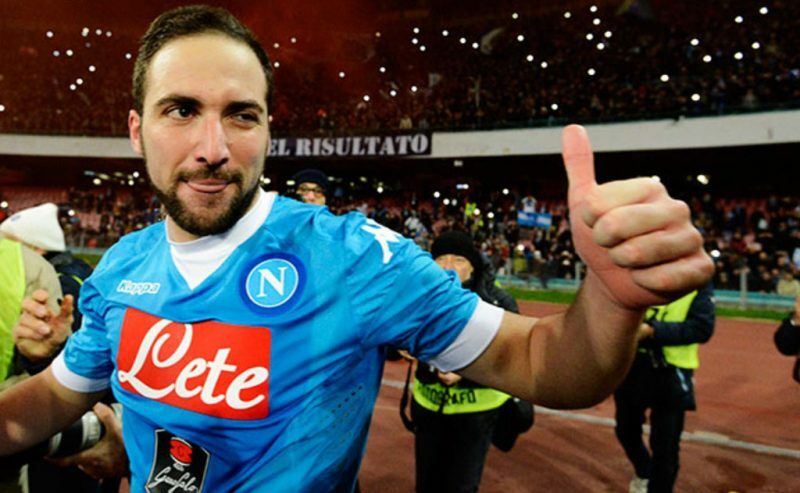 In a bid to fend off their competitors, Juve are eyeing a move for Napoli’s Gonzalo Higuain to extend their dominance over the division and into the Champions League. Allegri’s men are backed at 4/7 in the Serie A betting odds to clinch their sixth crown on the spin, which could be made all the easier by a record-breaking move for Higuain. Speculation has surrounded Juventus throughout the summer regarding outgoings and incomings, with star midfielder Paul Pogba linked with a switch to Manchester United, while forward Alvaro Morata has rejoined Real Madrid. As the Frenchman could fetch a reported £100m, I Bianconeri have prepared for life without him and the Spaniard by eyeing a move for Higuain, consequently weakening one of their rivals for the Serie A crown. Juventus began their resurgence in Italy without the presence of top-quality strikers as Alessandro Matri and Arturo Vidal were their leading marksmen with 10 goals in their first two title wins. The 2013-14 campaign saw the arrival of Carlos Tevez and Fernando Llorente, which helped turn Conte’s team into a more dominant force in the final third. The Argentine notched 19 goals and the Spaniard 16 in their opening term, allowing I Bianconeri to break the Serie A record for points and wins in that season, winning the league by 17 points. Tevez continued his fine form with 20 goals in the following season, notching a quarter of the strikes scored by Juve to secure another crown. Last season Paulo Dybala was the star for Allegri’s team with 19 goals, along with key contributions from Mario Mandukic and Morata. The performances of Juventus’ backline have been the driving force behind their success, conceding 25 goals or fewer in each of their triumphant campaigns. As a result there has not been a lot pressure on their strikeforce to fire, with usually only one goal being enough to deliver the three points. 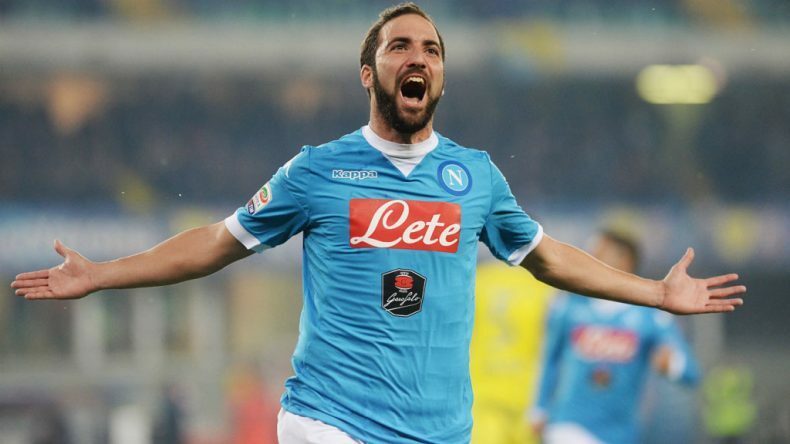 Higuain had a fantastic season for Napoli last term, scoring 36 league goals in 35 appearances, but it was still only good enough to lift his team into second place. If he were to join I Bianconeri, not only would it strengthen Juventus’ grip on the crown, but drastically reduce their competition for the title, leaving only Roma as a potential threat. For a fee in the region of £80m, Juventus would take a large stride towards history and would also increase their chances of competing with the best on the continent. Juve are in a no lose situation regarding the deal for the 28-year-old, with the chance to improve a squad that is already the strongest candidate to win the league for the sixth time in a row.